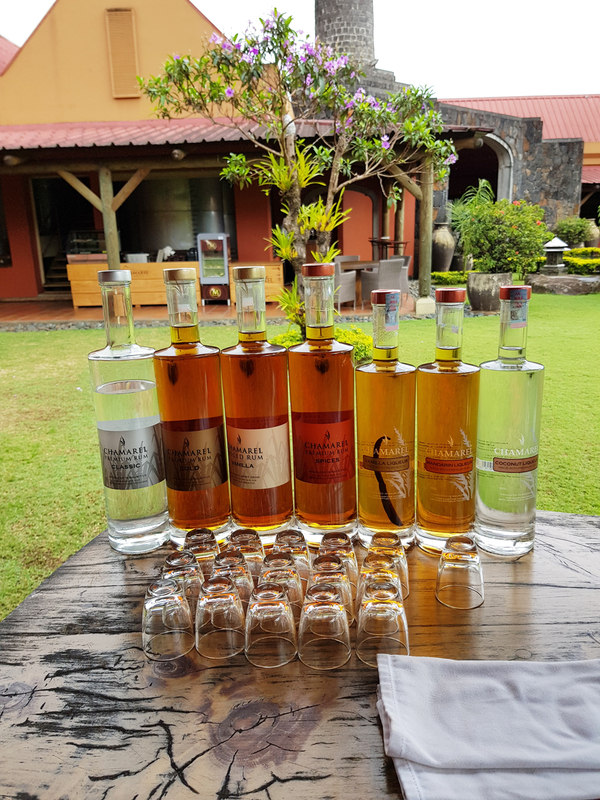 One of my favourite experiences on our Mauritius trip, and one that felt – truly Mauritian – was our little rum tasting tour and touring the Mauritius Wild South. 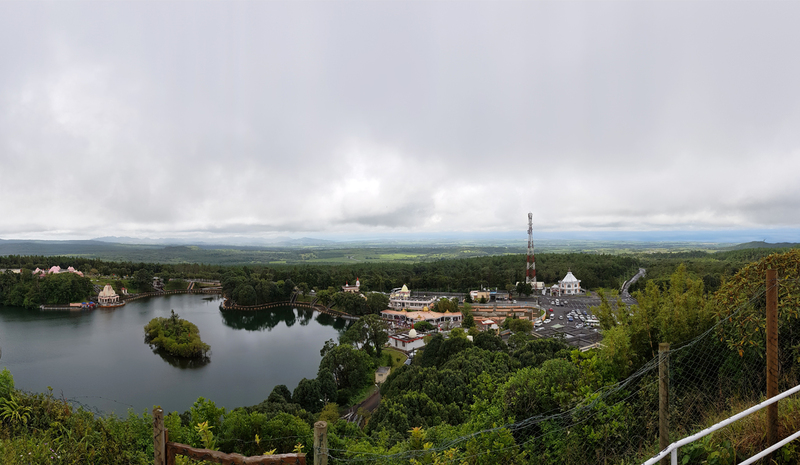 Since we did the Catamaran excursion ten years ago when we visited, we opted for an inland tour of Mauritius instead. Mauritius is known for its beautiful beaches and amazing waters, but inland Mauritius is also something to be admired. 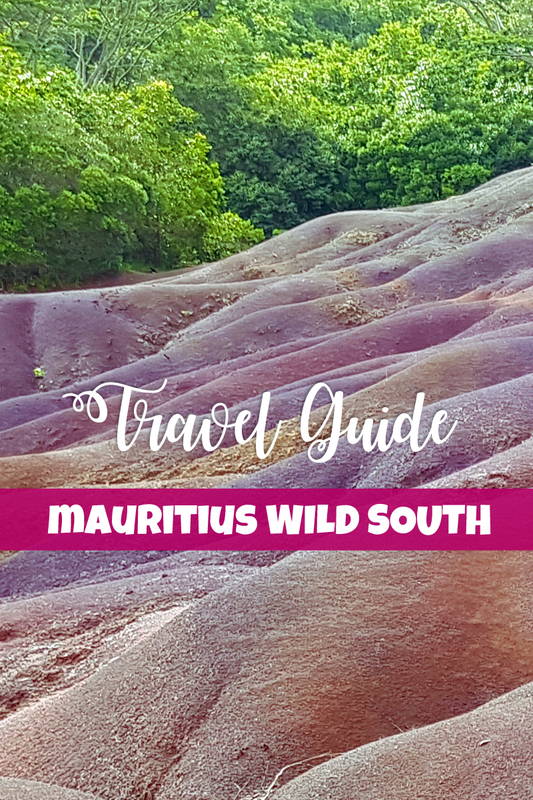 A Tour of the Wild South is a great day trip that will let you explore Mauritius’ majestic scenery. It includes a visit to the Black River National Park, the sacred lake at Grand Bassin as well as some fantastic stops at Chamarel, including; the Rum Distillery, Chamarel Waterfall and a chance to view the Seven Coloured Earths. We went with a tour group, and the big benefit there was having a tour guide – Steeve (yes with two ee’s) who made it more interesting. The only downside, was that the tour felt a bit rushed and I would have loved to spend more time at Rhumeire De Chamarel and at Grand Bassin. You can also hire a private guide, which I think would have been fantastic. 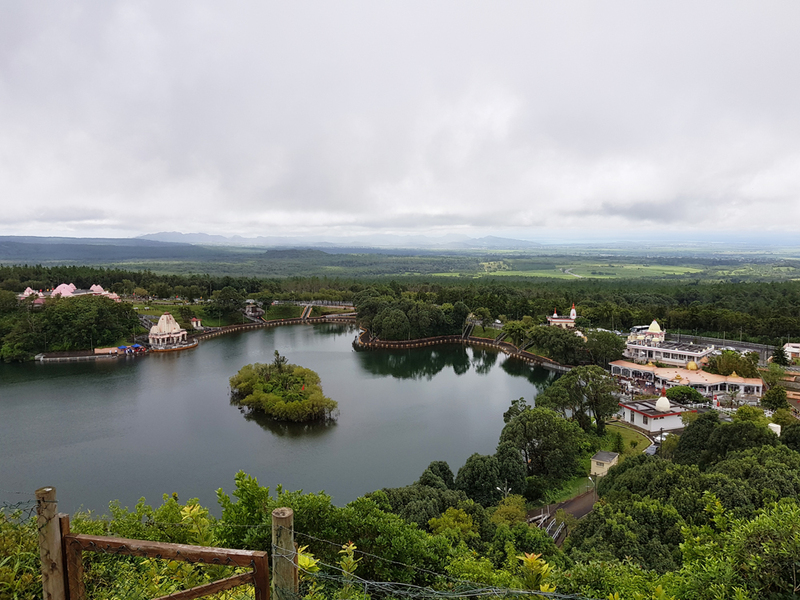 Grand Bassin, also called Ganga Taloa is Mauritius’ sacred lake. 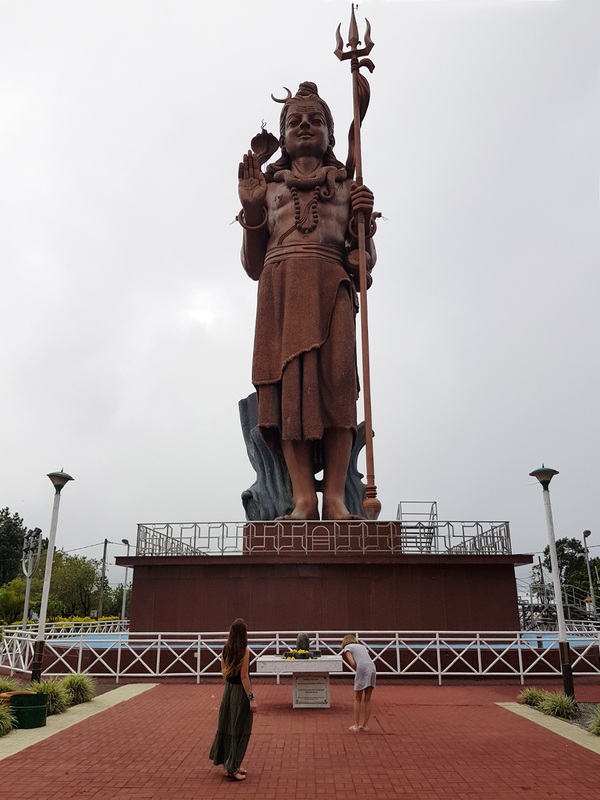 On the way to the lake, we stopped to admire the sheer majesty of the Statue of Shiva; the Hindu god, which stands 33 meters tall. Kind of makes you feel like a tiny, little ant when you stare up at it! I’ve seen some pretty amazing things on my travels, and this is certainly one of them. 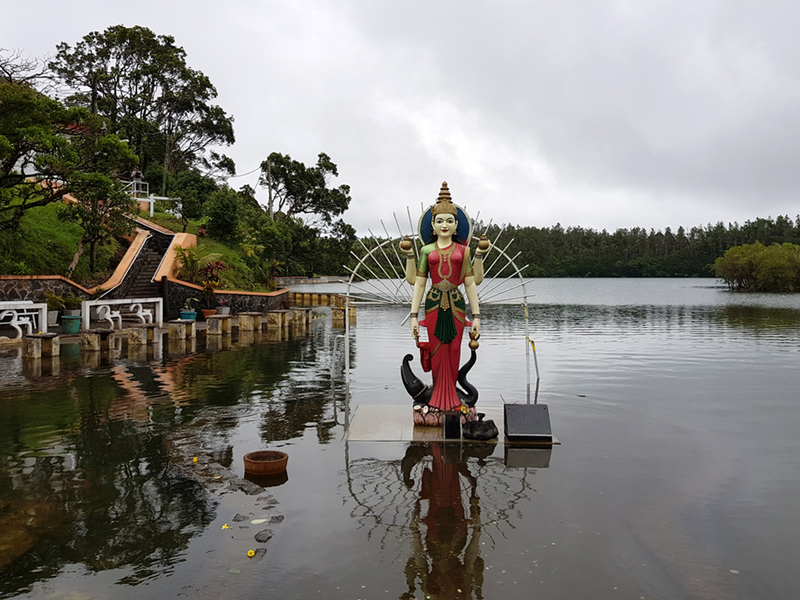 The Ganga Taloa lake is beautiful, adorned with even more (much smaller than Shiva) statues of Hindu gods. And there is a Hindu Temple you can go inside and take photos – provided you remove your shoes. We were given some time to walk around here and explore a bit. And explore we did! See those subtle stairs there on the left of my pic? Well they only look subtle! My hubby (brave as he is) wanted to take a “quick” walk and see where they lead. We ended up going so high up that we got to experience the most magnificent views of the lake below. It’s a walk but definitely worth exploring! Just don’t, like me, wear sandals or your feet will hurt for days! In fact, that uphill climb left my legs burning for the rest of our holiday – haha! Having to rendezvous with the rest of our tour didn’t help matters either. We quickly rushed up and rushed down even faster. At least hubby had proper shoes on! I did however, stop to take a photo – not that it does the magnificence of Ganga Taloa any justice! It’s breathtaking up there. 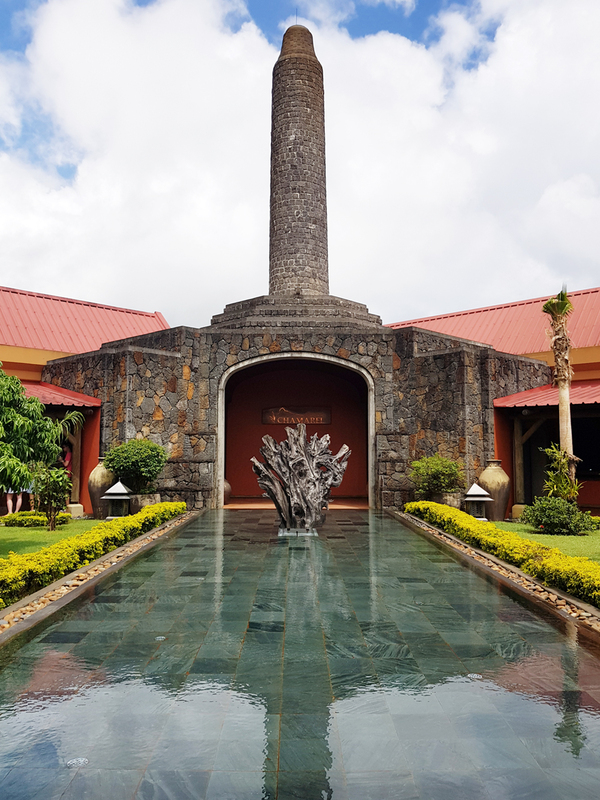 With sore feet and a pounding heart rate, we climbed back into our tour bus and headed off to Rhumeire De Chamarel – the Rum Distillery. We didn’t get to watch any of the rum making action as it was a Saturday. But we did indulge in too many rum varieties – too quickly if I might add! We were running late for our lunch at Le Chamarel Restaurant and I’m not lying, we literally went through eight varieties of rum in less than 10 minutes. Steeve passed us each a shot and quickly explained the flavours. By the second one, my throat was on fire! By the third one, I decided to just sip instead of down the whole tot! Some of our group went full rummy and as you can imagine, our once reserved patrons got a whole lot more lively! Perfect time to go for lunch, although I would have loved to stay and have lunch at Rhumeire De Chamarel. They have a lovely garden restaurant there that’s beautiful and you can spend some of your Rands in the little shop – buying all things rum and some other little mementoes. We stocked up on some Rum for back home and also bought some rum marmalade. It was divine! We spent more time at Le Chamarel Restaurant than at any of stops. It’s nestled on the flank of the highest mountain in Mauritius and the panoramic views are unbeatable. For us, sadly it was pouring with rain so it was a bit hazy, but still absolutely beautiful. 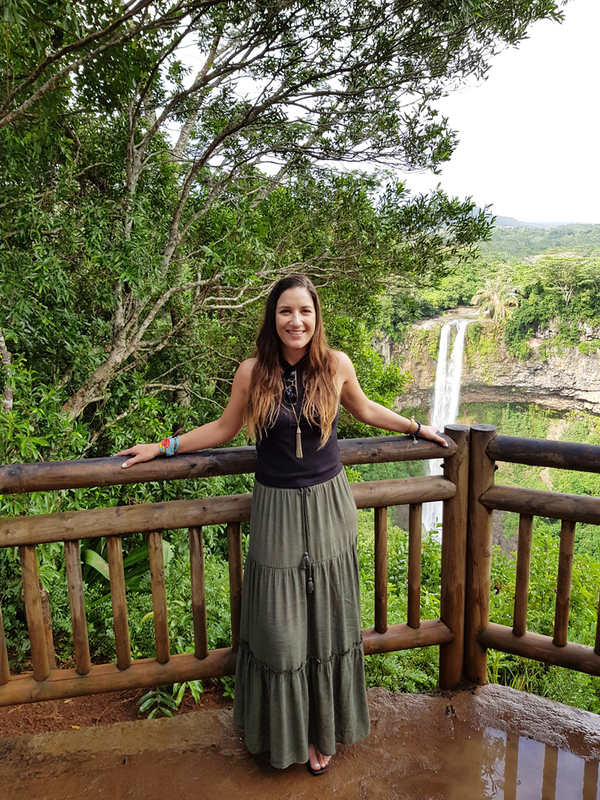 Last stop on our tour, the Chamarel Waterfall and The Seven Coloured Earths. 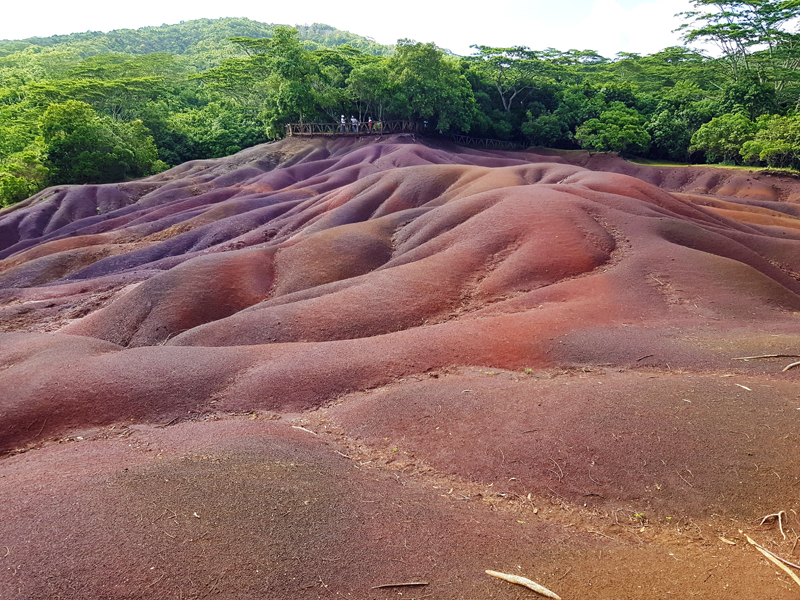 Last time we were in Mauritius, we drove up to the Seven Coloured Earths to see the natural phenomenon and sand dunes which comprise of seven colours. I won’t lie – it’s beautiful and very unique, but once you’ve seen it, you’ve seen it! If the route wasn’t on our tour we’d probably have skipped the sands. It was however, great for my travel journal to have side by side pictures of us standing in front of the waterfall now and ten years ago. The only thing if you go in a group, is everyone piles up on the platform together and you have patiently wait your turn. The last time, we were the only ones there. We had asked our hotel to pack us a picnic basket and I remember enjoying our baguettes on the platform in complete serenity. The weather in Mauritius can be very temperamental. 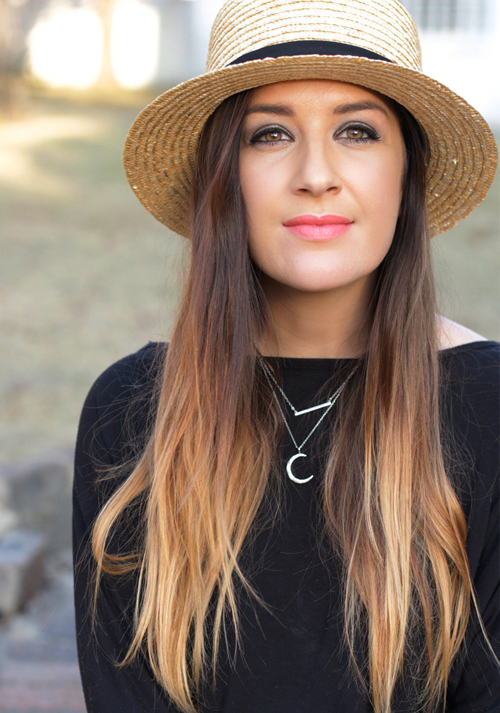 On the day we couldn’t work on our tan, we used the overcast weather and drizzle tantrums to explore the Wild South. It was the perfect weather, because you’re not boiling hot and you can enjoy spending some time in-land. As for the coloured sands; it’s difficult because you really need a clear weather day to see all the colours distinctly. Both times for us, it had just rained, so while we could see the colours, I don’t think they stood out as much.